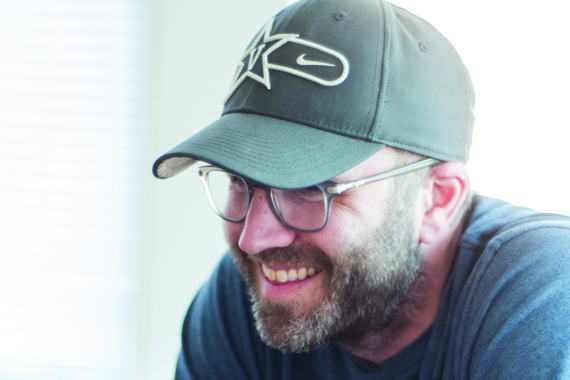 UMPG songwriter Andrew Dorff has died, MusicRow has learned. Dorff turned 40 on Dec. 16. The son of songwriter Stephen “Steve” Dorff, Sr. and brother of actor Stephen Dorff, the Los Angeles native made his way to Nashville in 2003 to pursue songwriting. He went on to sign with Universal Music Publishing Group Nashville. In 2008, he earned a Top 10 hit with Martina McBride’s “Ride.” Since then he went on to deliver more hits, including “Somebody’s Heartbreak” (Hunter Hayes), “Bleed Red” (Ronnie Dunn), and “Missing” (William Michael Morgan). Dorff’s life and career was recently profiled in MusicRow‘s 2016 Publisher Issue. As will his kind spirit and impact on Nashville’s music community. Several community members expressed their sympathies. Rest In Peace, @endorffin. ? Country music lost one of our own today. Rest easy @endorffin thanks for being the friend you were we will miss you down here buddy.